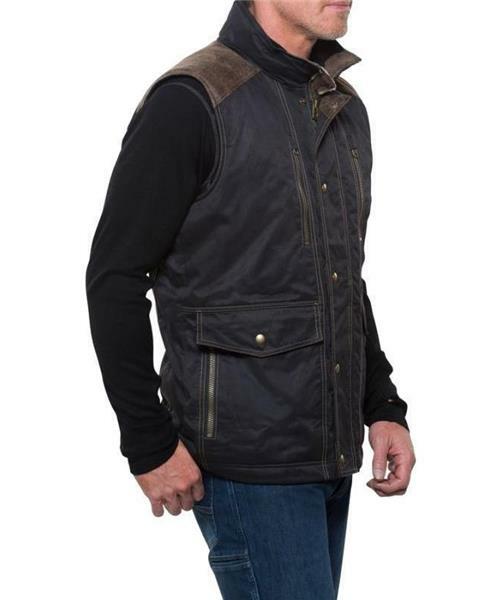 The M'S Arktik Down Vest features waxed body fabric that withstands rain and snow and is peached for a soft hand. Italian faux leather micro suede trim creates a distinctive look and reinforces stress points. The ethically sourced (certified non-force-fed/not ‘live-plucked’) 800-fill goose down provides a superior warmth-to-weight ratio. Perfect for arctic conditions and activities.